How Can Winnipeg Reduce Poverty? The City of Winnipeg needs a poverty plan. Other cities have one. 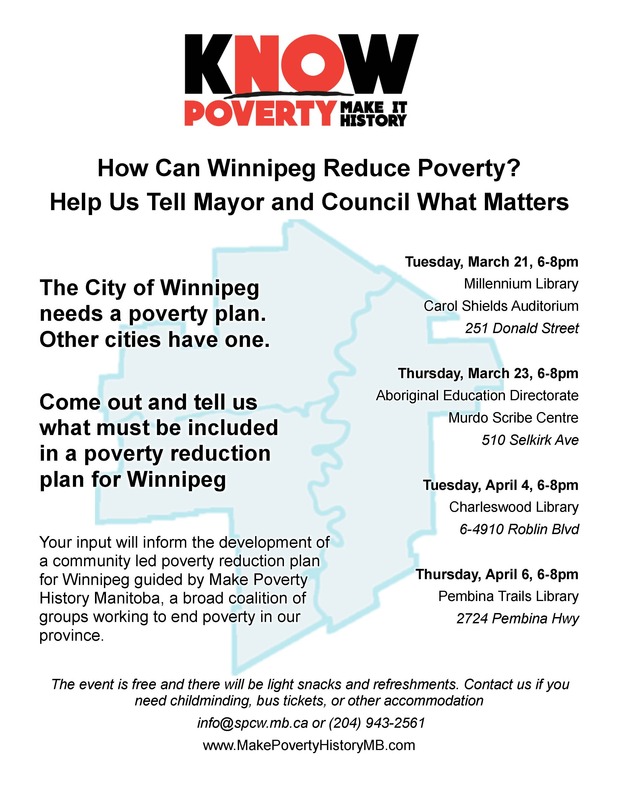 Come out and tell us what must be included in a poverty reduction plan for Winnipeg. Your input will inform the development of a community led poverty reduction plan for Winnipeg guided by Make Poverty History Manitoba, a broad coalition of groups working to end poverty in our province.